Ever wondered what it would feel like to win The Health Lottery? Well have a watch of this to see what our winners have to say about it! Stephen from Hertford bagged himself £10,000 and planned to go on holiday with his wife Julie. “Get in!” was Julie’s response when she found out about his win. Iris from Borehamwood felt herself get a “lift” after scooping a tidy £25,000. Christine from Chorley won herself a whopping £69,512, describing her experience of winning as “a fairy story”. There have been over 6.3 million Health Lottery winners since launch and over £117 million has been paid out in prizes. Could you be next? Play today for your chance to win up to £100,000. 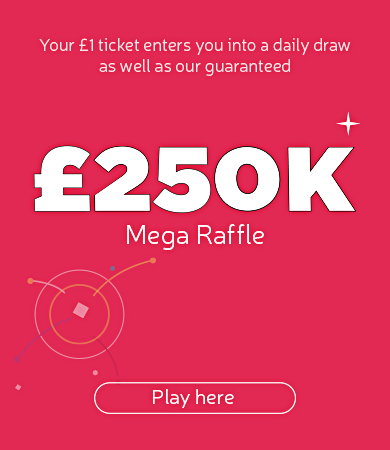 The Health Lottery operates in over 32,000 retailers throughout GB, play online at www.healthlottery.co.uk or download the app and play on mobile or tablet.